I’ve become obsessed with making notebooks and had to save this simple set of instructions for making a notebook out of a sheet of paper. 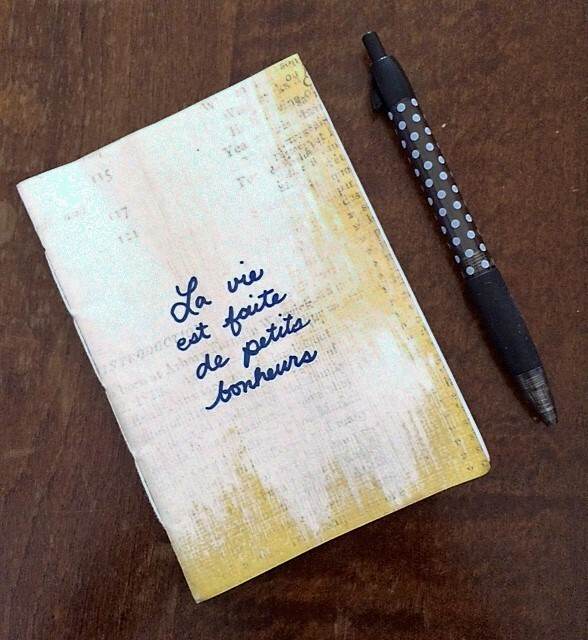 I foresee these small books filled with short stories, inspirational quotes, lists, or made as last-minute gifts. Words, art, paper crafts – three of my favorite things! I just can’t help it. I always need another one. It’s hard to say exactly where the attraction lies, but there’s something almost romantic about a fresh Moleskine: the endless possibility of empty pages ready for notes and nonsense. But at $12.95+ a pop, my Moleskine mayhem was breaking the bank.